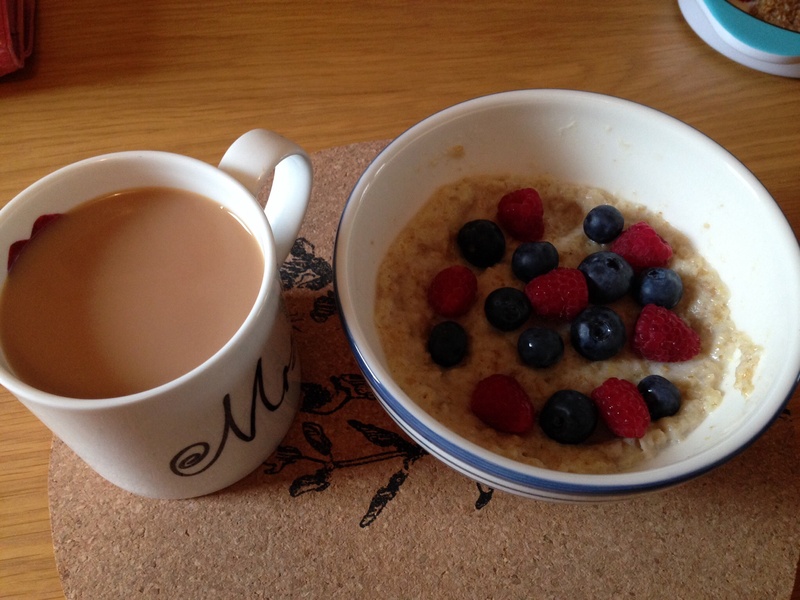 Porridge with semi-skimmed milk, blueberries and raspberries. Andy has been trying to encourage me to have porridge for breakfast as it keeps him going for longer but I’m not really a big fan, but I ate it today to keep him happy. I also drank my usual morning beverages, Nespresso with hot soya milk (Vanillo flavour) and a cup of Clippers Organic Earl Grey tea. Quite a lot of protein today! 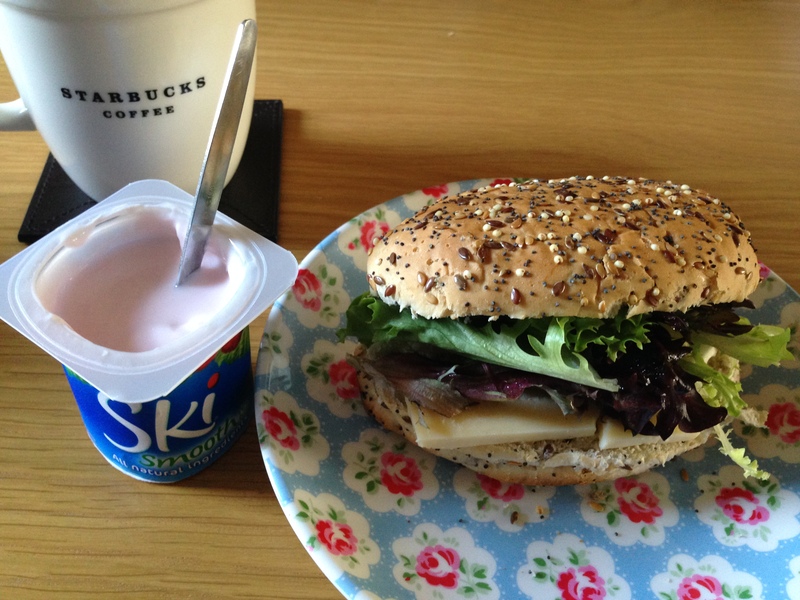 I had a mature cheddar cheese and salad in a multi-seed bun with a strawberry Ski smooth yoghurt. Normally, I love the little fruit pieces yoghurt but I was in such a rush at the supermarket that I picked up the smooth variety without reading the label. I got distracted by the discount! I had a cup of tea too (oops, my plan to cut down on caffeine isn’t going well). As I made Pad Thai for the video last week, Andy had a bit of a taste for it so we had this for dinner today. I also had some fishcakes leftover from filming and I reheated them in the oven. Annabelle had a Cox’s apple but only managed about half so I had the rest. We don’t really like to throw out half eaten food in this household so it’s a good job she eats healthy snacks! 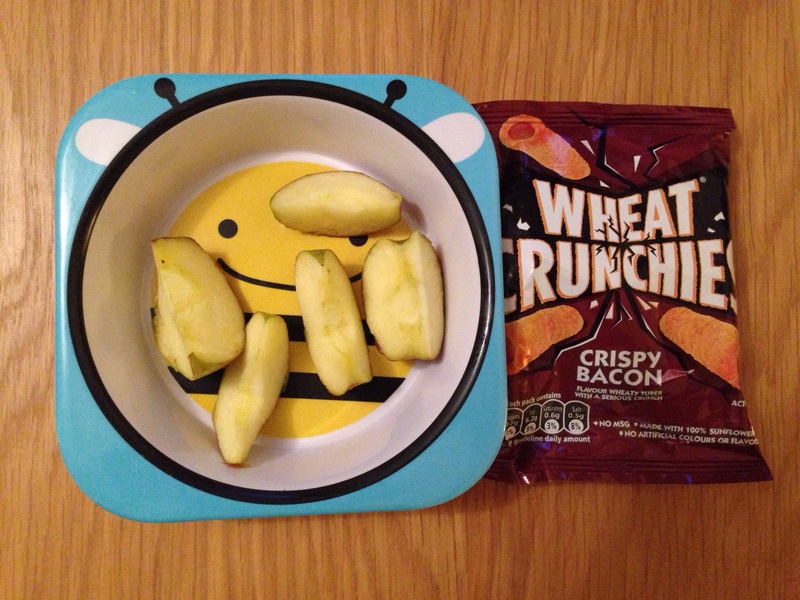 But then I did spoil it and have a sneaky pack of Bacon flavour Wheat Crunchies. 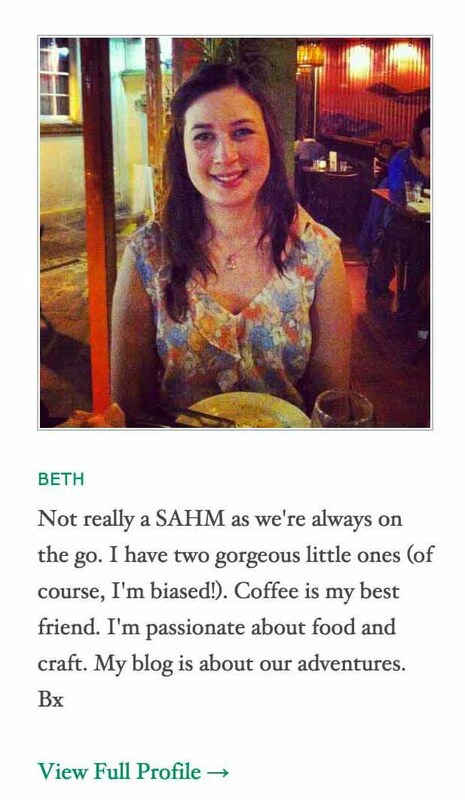 Have you read last week’s special edition of My Monday Meals with Mabel Kwong? 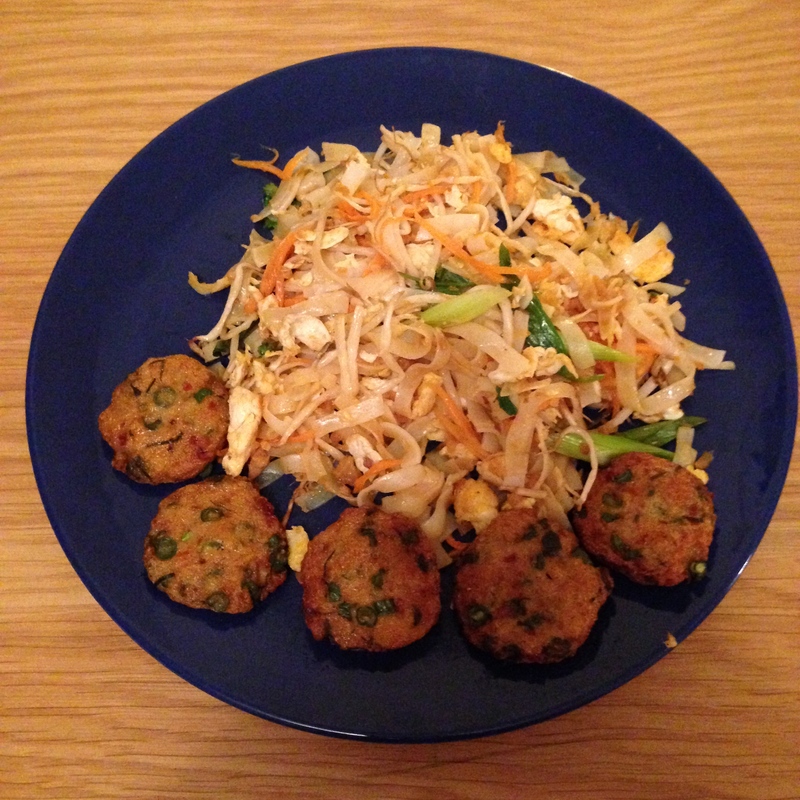 Check it out now and stay tuned for the new Thai fishcake recipe and video. Previous Post Andy vs Food: A Mahoosive Omelette!